Welcome! First Impressions Dental Care has been working with patients to provide the best dental care in Lady Lake and the surrounding communities. Dr. Cheryl L Pisano and her staff's experience in dentistry is coupled with genuine concern for the patients. The staff is dedicated to your comfort and prompt attention. Their goal is to keep your teeth healthy and your smile beautiful. This web site provides an overview of the practice and the field of dentistry. 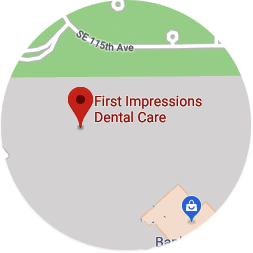 As you navigate the site, you'll find information about First Impressions Dental Care's practice philosophy, the staff, our Lady Lake office location, insurance policies, and appointment scheduling procedures. Please browse the site at your convenience and feel free to contact us with any questions or suggestions to better serve our patients. You can also request an appointment by clicking here. As a leading dentist in Lady Lake, we’ve earned a reputation for excellence by establishing relationships built on trust with every patient and delivering outstanding outcomes of care. For any additional details on how we can help you achieve and maintain excellent oral health, call our office today.